If you read Life on La Lune regularly, you’ll know I’m a history girl. And there’s plenty of it around in our part of France if you just scratch the surface. Also, many museums in France open for free on the first Sunday of every month, like today. This is a good way to fill a damp winter’s afternoon. I find the giants like the Louvre a bit hard to get my head around, but the French are rather good at small, quirky museums. So here’s my selection of favourite museums in SW France. Henri de Toulouse-Lautrec was born of aristocratic parents, but his life was blighted by congenital illness and alcoholism. Despite all that, he managed to produce thousands of drawings and hundreds of prints. He also produced more than 700 paintings. He was highly skilled at portraying the colour and decadence of Belle Epoque Paris without glamorising it. Individual figures stand out in his crowd scenes, in which he often included himself. After his death in 1901, his mother was the driving force behind the establishment of the Toulouse-Lautrec Museum in Albi. Housed in the former bishops’ palace (Palais de la Berbie) opposite the cathedral, the museum had a facelift about eight years ago. New galleries were added in the basement, allowing more of his works to be displayed. A wonderful portrait of Toulouse-Lautrec’s mother takes pride of place in the new downstairs galleries: straight-backed, haughty, eyes closed, she must have been a formidable woman. If I could choose any picture from the whole collection it would be that one. During a weekend visit to Bordeaux a few years ago, a highlight for me was a visit to the Centre Jean Moulin, named after the Resistance hero. In addition to being a museum that focuses on Bordeaux and Aquitaine during World War II and the occupation, it also contains the regional resistance archives. The Centre is laid out over three floors covering the Resistance, Deportation and the Free French Forces. We spent two hours there and only got to the ground and first floors before a Rosa Klebb clone turned us out 15 minutes before the official closing time. We were in the middle of watching a poignant film about the deportation of Jews and other “undesirables”, with commentary by people who had been detained in concentration camps but had somehow survived. A visit to their website indicates that, unfortunately, the centre closed in January 2018 for essential restoration works. However, some of the collections are being relocated temporarily to the Museum of Aquitaine in Bordeaux. There is also a Musée de la Résistance in Cahors, which is worth a visit. The pleasant medieval town of Figeac on the River Célé is always worth a visit. Another of the region’s famous sons was born there: Jean-François Champollion (1790-1832), who deciphered Egyptian hieroglyphs. The house where he was born, right in the centre of Figeac on the Place Champollion, is now a museum that celebrates the evolution and history of writing. Behind the museum, the Place des Écritures contains an enlarged reproduction of the Rosetta Stone, of whose hieroglyphs Champollion published the first translation in 1822. The beret is instantly recognisable throughout the world as a symbol of French culture. For the people of the Béarn, where the beret is still manufactured and worn, it’s a mark of independence and a badge of identity. Several years ago, I wrote an article about it for FRANCE Magazine, which involved a trip to the only beret museum in the world. In 1945 there were 30 factories throughout France manufacturing the beret. Today, only one manufacturer remains, Laulhère in Oloron-Sainte-Marie, in Pyrénées-Atlantiques. The beret museum occupies the site of the former Blancq-Olibet factory in the pleasant bastide town of Nay, between Pau and Lourdes. The visit starts with a video showing the people of the Béarn waxing lyrical about the béret and its status. The museum contains the old machines used to make the berets and pictures of famous beret-wearers. A beret has to go through 20 different stages – 10 for the exterior and 10 for the interior – before it is deemed suitable as headgear. Do you know how Roquefort cheese gets its blue-green mould? I didn’t until we visited the town of Roquefort-sur-Soulzon in Aveyron some years ago. In the caves of the Fromagerie Papillon our guide held up a test tube that looked as if it contained powdered ash. In fact, it was Penicillium Roqueforti, which is obtained by baking rye bread, allowing it to go mouldy and then powdering it. This is then sprinkled on the ewe’s milk cheese and is a vital element in its manufacture. There’s a lot more to it than that, of course, but plenty of legends are associated with this ancient cheese. The first written references to it date back to about 1070. While the Papillon caves are not strictly a museum, you learn about the history and manufacture of the cheese and get a free dégustation as well. This entry was posted in History, Places and tagged Albi, Bordeaux, Centre Jean Moulin, Figeac, French museums, Fromagerie Papillon, Musée Champollion, Musée du Beret, Musée Toulouse-Lautrec, Nay, Roquefort, SW France. Bookmark the permalink. 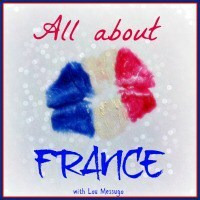 A great list, there is also the Prune museum at Agen. I haven’t visited it, but giggle at the thought of all those ancient prunes in glass cases. Ha, ha! Yes, that must be sight to behold! I have never actually been to Agen in all our 20 years here, but we don’t live near and rarely go in that direction. Since it’s the prune capital of SW France, it was a fair bet that they’d have a museum. How funny! I was in Albi on Friday and visited the Toulouse Lautrec Musée with my daughter and loved it. I will hope that the Musée of the Résistance in Bordeaux is opened when we eventually get to the city which has been on the cards for at least 5 years! This is a wonderful list and I trust your judgement implicitly so I will keep a note of all the suggestions for future travels. We were en route from Marcolès to Carcassonne and it was a natural stopping point, a place I hadn’t been before and one I will certainly visit again. Next time I’ll let you know we are around but this was a rapid four days – Grenoble-Marcolès-Albi-Carcassonne-Nimes-Arles-Grenoble. I long to have more time …. don’t we all long for that? That was certainly a whistle-stop tour! Do let me know if you are ever close by. I agree, though, more time would be a luxury. I hope it does. I’m a great believer in things working out for the best. When we moved here, we sold my London flat in a few days and the exchange rate moved massively in our favour during the buying process. I felt this was a sign that it was meant to be. Thank you for that list, Nessa – I’ve added them to my list of places to visit!! It’s a pity the Centre Jean Moulin is shut for refurbishment. Mind you, it needed it. I hope you enjoy the others. A timely reminder about the free openings, something I only related to the big northern cities not little old figeac. A visit to the museum there is one of the things I keep telling myself I must get around to! By the way, I read recently that the musee de la resistance in cahors is closed for a year for refurbishment. A shame as a cousin was hoping to visit in April. Ditto Bordeaux. Not her year clearly! The musee at Albi has fascinating glimpses of floors discovered during the refurbishment there. My favourite one of the region and so conveniently located in the centre ville. Thank you for your informative post. Probably not all of the ones I mention are open free, but some of them might be. So the Resistance Museum in Cahors is also closed? What a shame. Especially as my latest fiction project is to do with WWII in the region. One always has to be prepared for this. Wonderful suggestions. Now on our 2018″ to do” list. Such a shame the resistance/ war museum is currently closed, my son in law is an amateur military and war historian, hugely interested in the 2nd world war in Europe and he would love that place. Yes, it’s a great pity that the Bordeaux Resistance Museum is closed. There are others around the place, but that one was the most Important in the region.